consider it a treasure map! Slavko Mihalic, Aleksandar Petrov, and Ferida Durakovic may not be household names in the US, but if you’re a fan of global poetry, you may be delighted to discover their work. 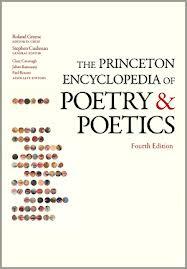 Consider them treasures to find as you explore a new treasure map for poetry enthusiasts: The Princeton Encyclopedia of Poetry and Poetics has released a new fourth edition. The time that has passed since the third edition appeared (in 1993) has meant dramatic changes in the political and geographical atmosphere, and this new edition explores a host of new names to research and discover. Given that I prefer to focus on Eastern European and Russian literature, I decided to explore the entries for nations that didn’t even exist or were brand new entities when the third edition came out. First, some general information about the book: this is not an encyclopedic collection of poets. There are no entries for Whitman or Dickinson or Ginsberg. Rather, it focuses on the literary terms and styles of poetry, including sections for the poetry specific to certain nations and cultures. The sections on smaller, new nations are comprehensive and complete, containing a bit of the political scene but focusing more on the influences and poets before and after major crises occurred. From Slovakia: Mila Haugova, Jan Buzassy, and Daniel Hevier are listed as contemporary poets, and reference is made to a 2010 release “Six Slovak Poets” (available here: http://www.bookdepository.com/Six-Slovak-Poets-Jan-Buzassy/9781906570385) that promises to explore the seriousness and humor unique to the region. Yes, I must have it! Slovenia: Gregor Podlagar, Maja Vidmar, and Lucija Stupica. Bosnia: Abdulah Sidran, whose poetry the editors remarked as “imbued with a sadness resulting from his perception of disharmony in the world.” Given his locale, the exploration of this poet should be fascinating while likely tragic. 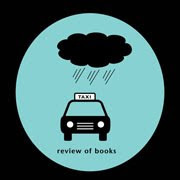 The editors state, “His poems give the impression of settling accounts with life.” Comparing his work to those of the same region but differing political bases should make for a fascinating study. It would also be interesting to use the Encyclopedia to compare these contemporary poets with early 20th century poets in the same regions suffering other types of oppression. Czech Republic: Petr Borkovec writes about the “upheaval in Czech culture” that occurs with the disintegration of political lines while the peoples and culture remain in static. Albania: Dritero Agolli and Ismail Kadare (also known for his fiction). Fun fact: despite chaos in the region and the intellectual suppression of dictator Hoxha, “verse collections…account for more than 50% of literary output” (31). An astonishing amount, considering that an expert in poetics in the US, Maggie Balistreri, estimates about 2100 books of poetry are published in the US per year (http://www.poetryfoundation.org/article/239684) while according to Wiki (I know, sorry!) the remainder of published works runs well over 300,000. Another worthy mention is that this version lists useful websites for further research, notably The Poetry International Web Net (http://www.poetryinternationalweb.net/pi/site/home/index/en) that allows you to search by country. I think my only disappointment was that Belarus didn't have it's own entry, as it was combined with the Russian section, and that makes for the lack of mention of Valzhyna Mort, an amazing poet and ardent supporter of freedom in Belarus. But, to it's credit, there's a great section on Flarf. Special thanks to Casey LaVela for the Advance Review Copy.